The new dinner menu and ladies' nights at the ultra-chic UNIQUE Rooftop Bar Lounge. 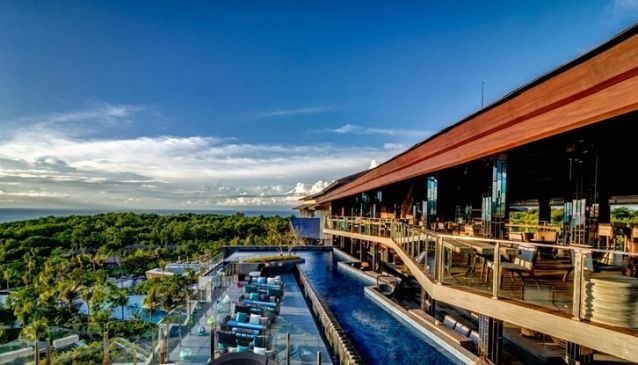 Monday and Thursday are Flirty Nights for ladies, with a complimentary first drink UNIQUE cocktail upon arrival from 6pm to catch the panoramic sunset views across the Uluwatu coastline - and a special price on this cocktail all night at just IDR 80,000++. The 25-meter long rooftop pool offers all-day fun in the sun, while the new dinner menu entices UNIQUE's sunset crowd to extend their stay for Asian-inspired food such as Caramelized Angus Beef Cheek Skewers, Crispy Salted Pork Loin, Korean-spiced Chicken Wings, Whole Tail Scampi, Thai Red Duck Curry. Asian flavors are the perfect complement to heady cocktail concoctions like Rose Mary-Me with rum, lychee liqueur, fresh rosemary and lemongrass, or Spicy Colada - a twist on a Pina Colada with nutmeg and tabasco for some kick.